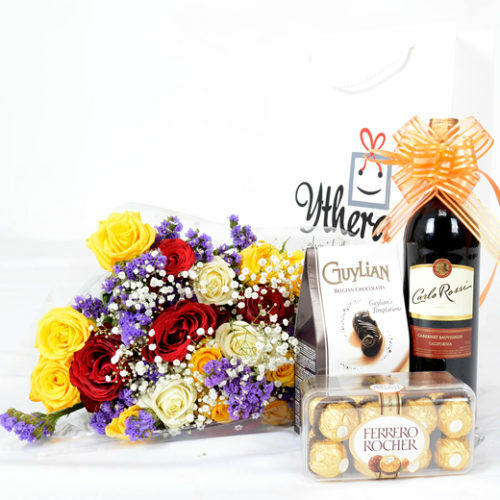 Clear away any doubts on your partner’s head and restate your love and commitment to him/her with this lovely gift hamper. 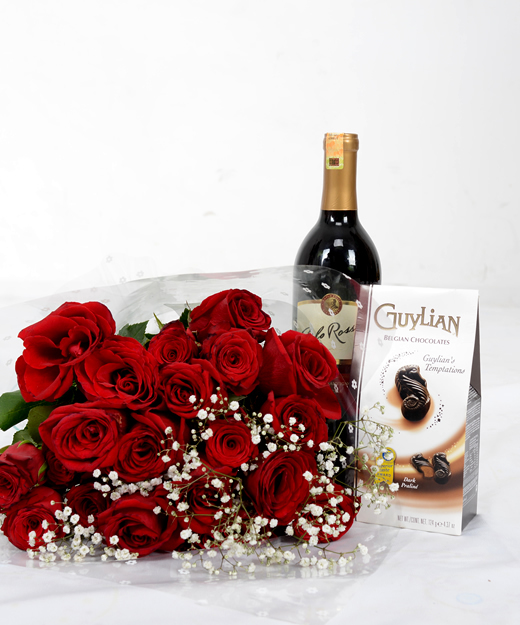 Red roses are the traditional symbol for love and romance.This an ideal gift for a loved one during special moments in life. 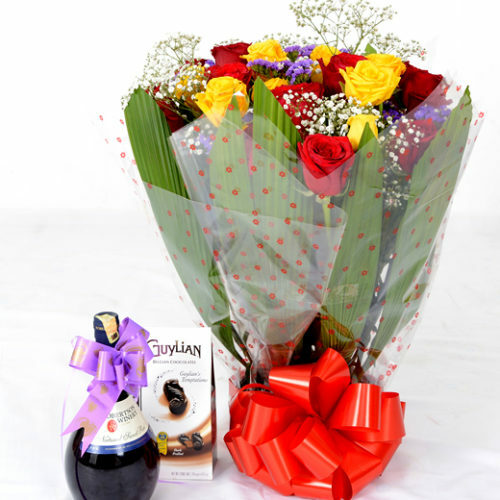 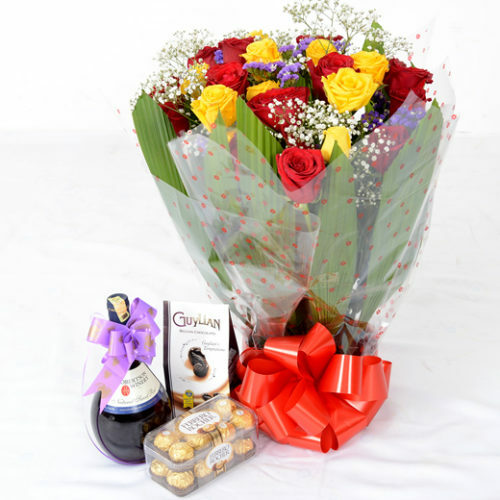 Create a lasting impression with this lovely cocktail of fresh exotic flowers and accompaniments delivered to your loved one at work, home or school. 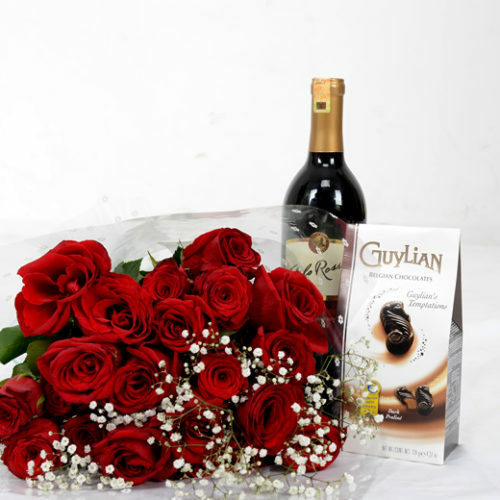 Haven’t seen someone special in a while? 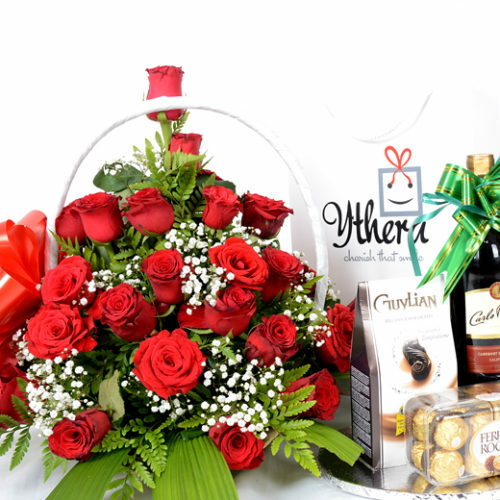 send them this hamper! 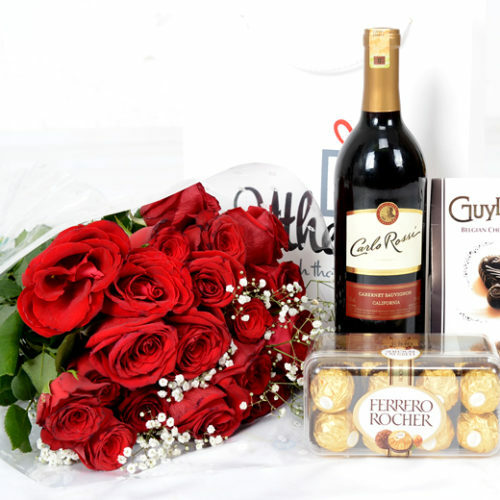 Flowers, wine and chocolates treat! 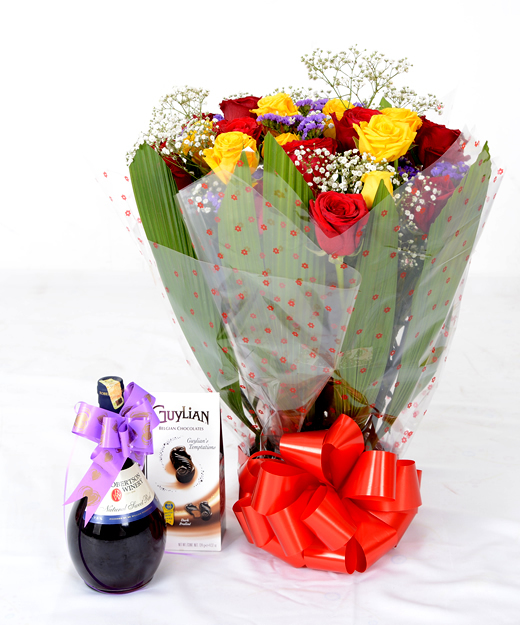 absolutely stunning! Missing someone? 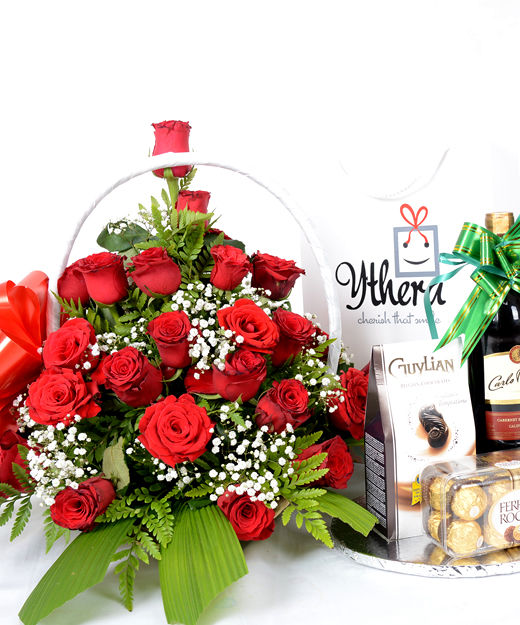 send them this lovely hamper today! 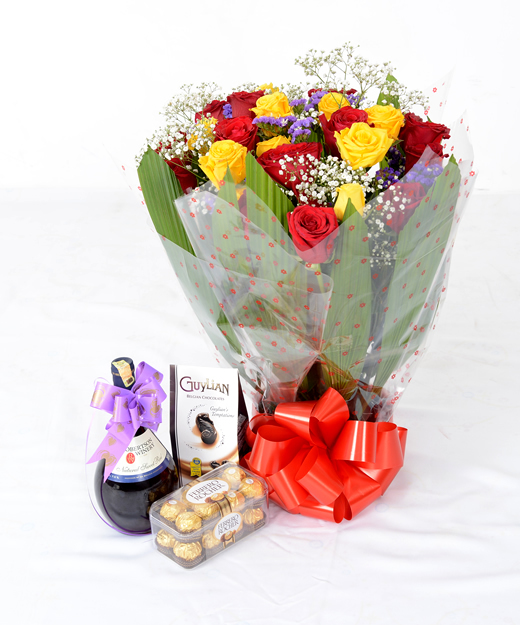 This arrangement is simply stunning! 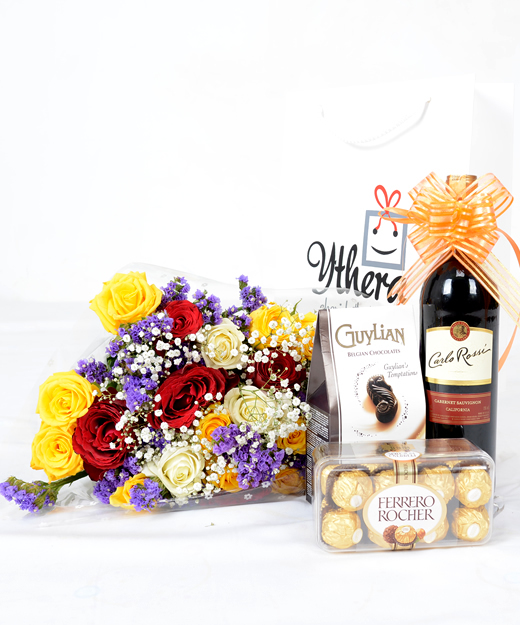 Order this package and surprise her today! 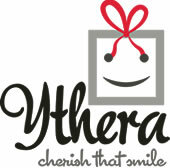 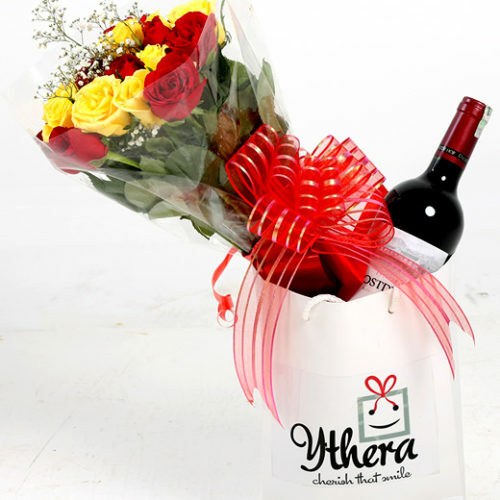 Say you love her in a big way with Ythera’s fantasy lovers gift hamper. 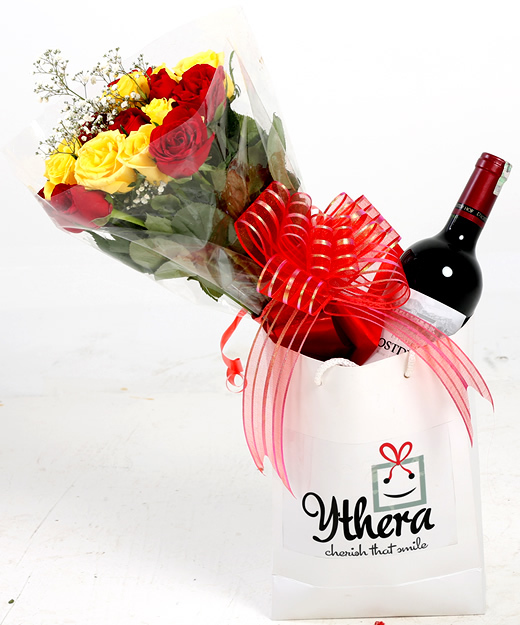 This gift will make a statement to her colleagues at her workplace or school. 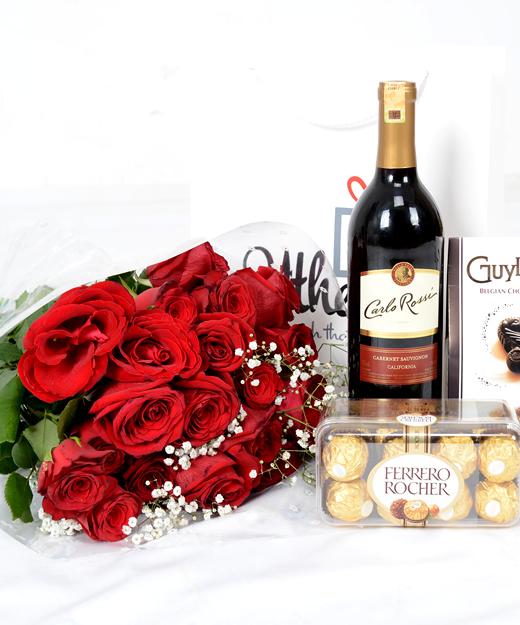 Treat her in a special way today!